Brian Gough practices in the area of complex business litigation, principally involving contract and business disputes, partnership and closely held corporation dissolutions, real estate and landlord tenant issues, business torts, employment contracts, and trade secret and competitive business practice disputes. In addition, he has represented numerous attorneys, accountants, and real estate brokers and agents in the area of professional malpractice defense. Brian has litigated major cases, including class actions, in both federal and state court, and has argued successfully in the California Court of Appeal and before the California Supreme Court. Brian enjoys an AV rating from Martindale-Hubble, the highest rating given practicing attorneys in terms of both professional competence and ethics. Brian earned his undergraduate degree, with honors, from Stanford University in 1971, and his J.D. from UCLA, before being admitted to the California Bar in 1974. Brian practiced in Los Angeles for nearly twenty years with the regional firm of Macdonald, Halsted & Laybourne, which later merged with the international law firm of Baker & McKenzie, where he served as Chair of its Litigation Department and on its long range planning committee. In 1992, he moved to Santa Barbara and initially joined Schramm & Raddue as a senior partner, before forming the firm of Howell Moore & Gough LLP with partners Joe Howell and Ed Moore. Brian served as President of the Santa Barbara County Bar Association in 2002 and now sits on the Board of Directors of the Channel Islands YMCA. 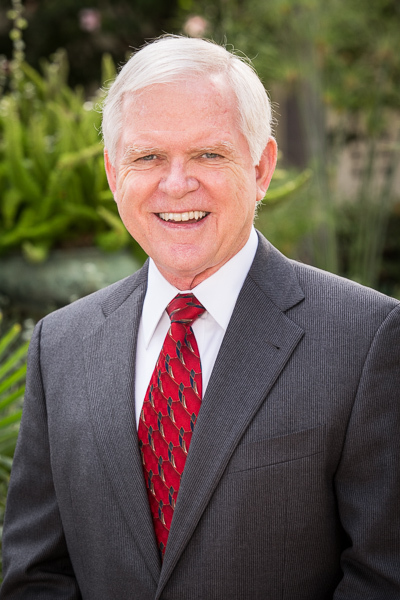 He is a past president of Business & Industry Associates, a support organization for Santa Barbara City College, served on the Board of Trustees of Marymount School, and was Co-Chair of the Litigation Section of the Santa Barbara County Bar Association. Brian and his wife Judy have three sons, Kevin, Christopher and Andrew. Judy is a lecturer in the EMS Program of the Linguistics Department at UCSB. Brian’s outside interests include golf, tennis, hiking, travel and home remodeling.